Shop Flats From Kate Middleton's Go-To Shoe Brand for 20% Off! We’re Head Over Heels Over These On-Sale Flats From Kate Middleton’s Go-To Brand! Sure, sure, we love a good high heel, but thankfully for our feet, flats are having a bit of a moment. And any time there’s a shoe trend that marries comfort and style, we’re here for it! In a world of dad sneakers and kitten-heel mules, it’s only natural that our beloved flats would get lost in the shuffle. Thankfully, we found a pretty-and-practical design made for some serious style miles! Get ready, because this stylish staple will do everything but fall flat. 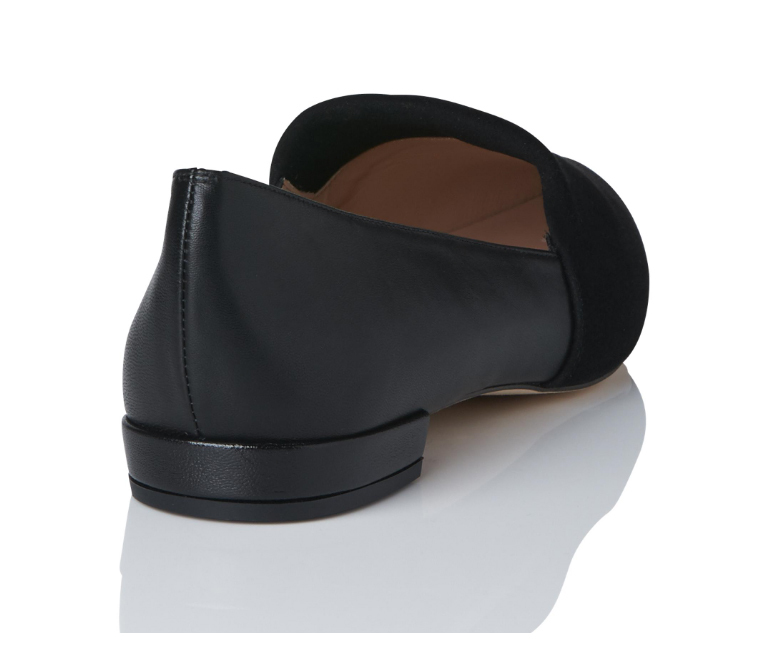 See it: Grab a pair of the Vienetta Black Suede Flats (originally $295) now available for $165 at L.K. Bennett! Additional discount reflected in cart. The Vienetta Black Suede Flat is the perfect option for shoppers looking to slip back into the stylish trend. For shoppers looking for the ultimate two-in-one, we’d recommend not looking any further. It’s a no-brainer why L.K. Bennett and the brand’s stylish-yet-simple shoes have drawn a liking to many a style icon, including Duchess Kate. The royal has showcased how the brand is synonymous with effortless glam and timeless silhouettes, plus she’s worn heels and boots from the line on multiple occasions. As for the shoe? It’s a no-brainer. Featured in the always chic shade of black, the beautifully crafted shoe is a real show-stopper. The gorgeous, soft Nappa leather is buttery soft and layered with a suede vamp. The combination of leather and suede adds a beautiful mixed-media feel to the shoe. The Vienetta pleads a strong case that trendy can also be tradition, and we can’t help but think they’ve won their case! The contrasting textural appeal is truly swoon-worthy! The flats get straight to the point. Quite literally. The front features a perfectly-pointed detail which really elevates this black making it extremely elegant. We’ll be honest, we’re already thinking of all the instances where we can replace our heels with these fabulous flats and we truly think we might never reach for our uncomfortable high heels again! It’s the perfect shoe for the girl-on-the-go, with its endless styling scenarios. Looking for an everyday essential ensemble? Pair these flats with anything-but-basic black leggings, a white tee shirt and top it off with a knee-length cardigan. Don’t forget a classic tote! Want to update this outfit a bit so it can easily transition from day-to-night? No problem! Replace the knee-length cardigan and reach for a black leather jacket, and pair with those go-to skinny jeans. Substitute the tote for a clutch, and problem solved! Even if our after-work plans aren’t very thrilling, these flats are the perfect piece to wear for any commutes! They’re perfect for stashing in a tote, and the best style to wear on days when we plan on being on our feet all day. Talk about strutting in style! We can go on and on about why the Vienetta Black Suede flats are the ideal option when looking to strut in style, but don’t just talk our word for it. We’d recommend shoppers test out the trendy-yet-traditional pair for themselves! We’re convinced every shopper’s feet will be thanking Us later. 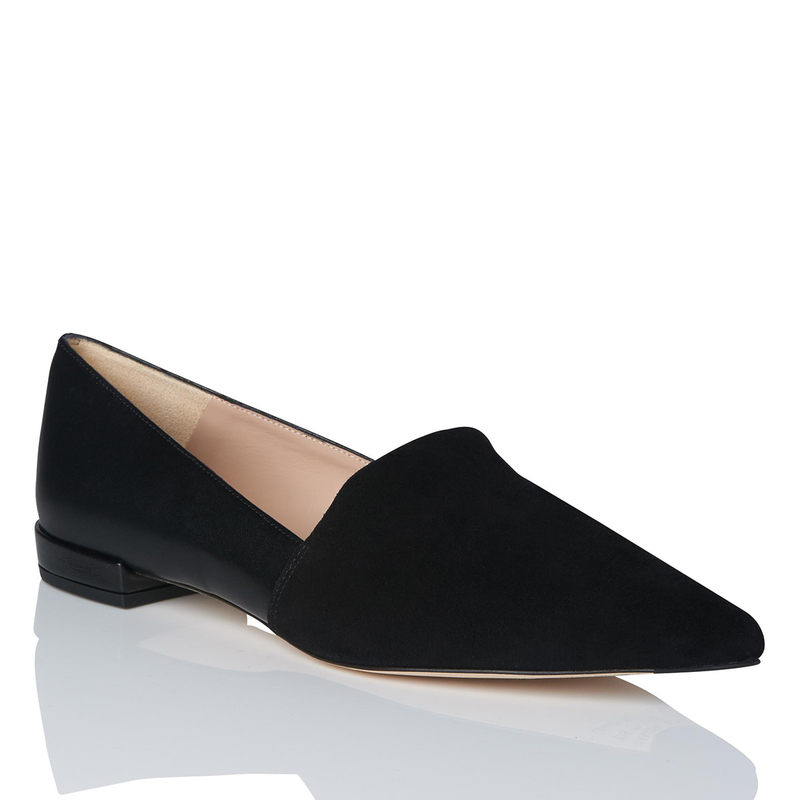 See it: Grab a pair of the Vienetta Black Suede Flats (originally $295) now available for $165 at L.K. Bennett! Additional 20 percent off reflected in cart. Not your style? Check out additional shoe options on sale available at L.K. Bennett!